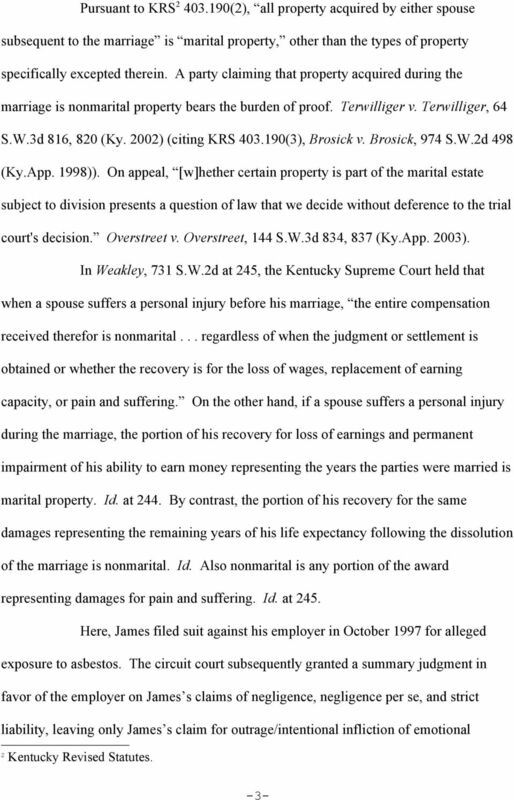 Download "RENDERED: FEBRUARY 8, 2008; 10:00 A.M. NOT TO BE PUBLISHED Commonwealth Of Kentucky Court of Appeals NO. 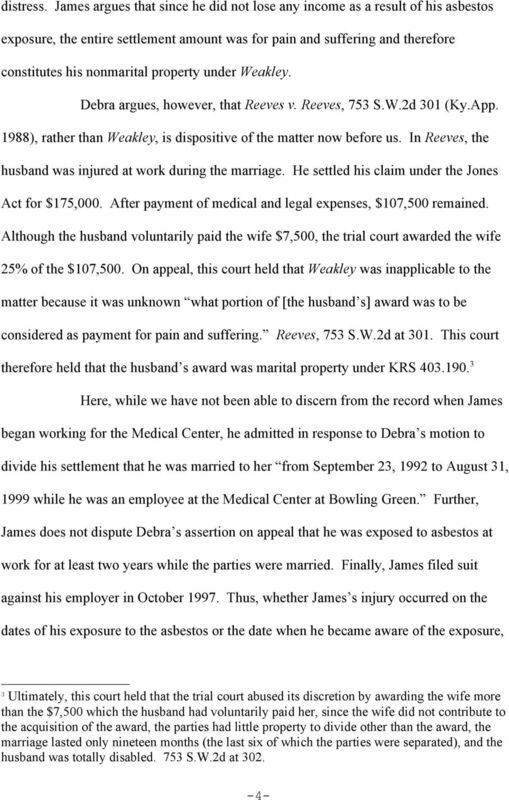 2006-CA-002347-MR DEBRA LYNN FITZGERALD"
1 RENDERED: FEBRUARY 8, 2008; 10:00 A.M. NOT TO BE PUBLISHED Commonwealth Of Kentucky Court of Appeals NO CA MR DEBRA LYNN FITZGERALD APPELLANT APPEAL FROM WARREN CIRCUIT COURT v. HONORABLE WILLIAM R. HARRIS, JUDGE ACTION NO. 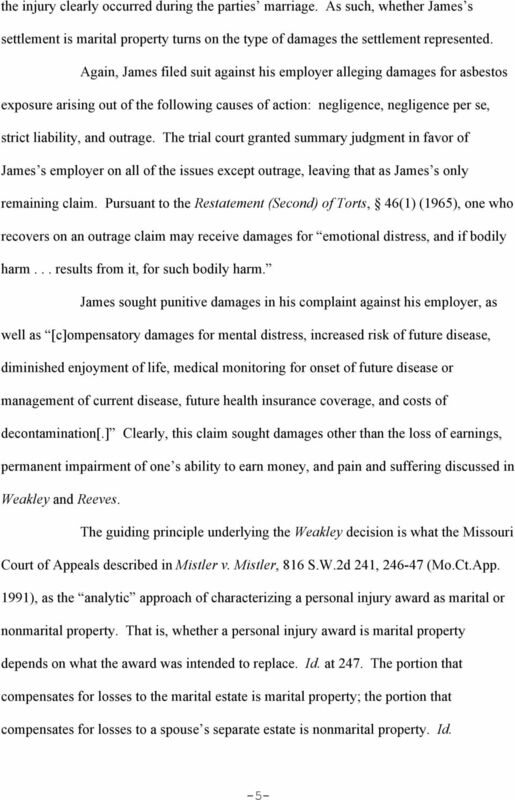 06-CI JAMES CHARLES HAMMOCK APPELLEE OPINION AFFIRMING ** ** ** ** ** BEFORE: LAMBERT, NICKELL, AND VANMETER, JUDGES. 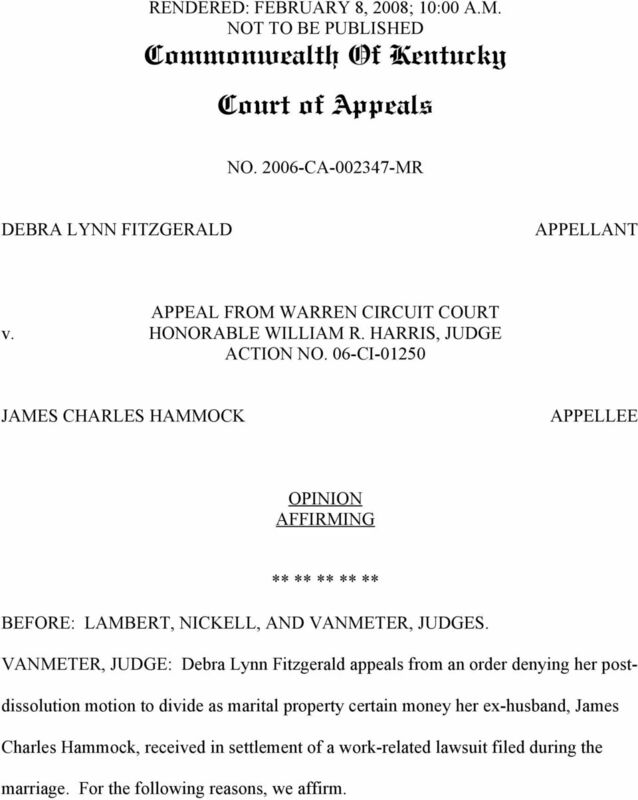 VANMETER, JUDGE: Debra Lynn Fitzgerald appeals from an order denying her postdissolution motion to divide as marital property certain money her ex-husband, James Charles Hammock, received in settlement of a work-related lawsuit filed during the marriage. For the following reasons, we affirm. 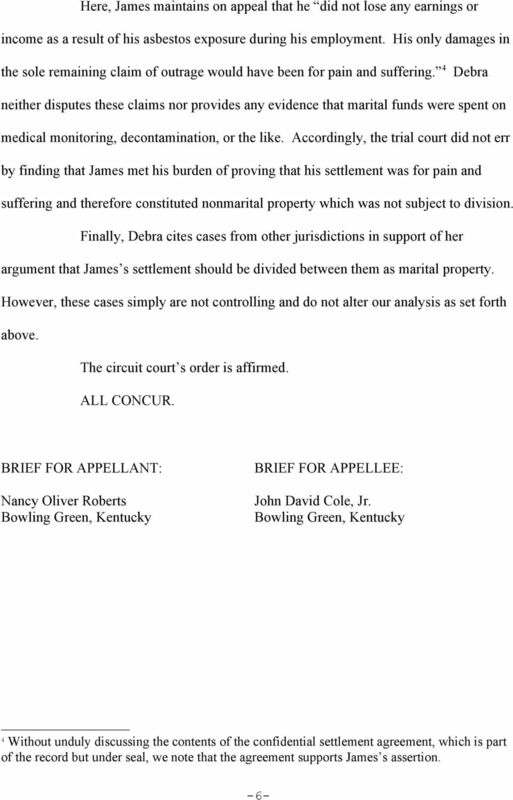 RENDERED: DECEMBER 6, 2013; 10:00 A.M. NOT TO BE PUBLISHED Commonwealth of Kentucky Court of Appeals NO. 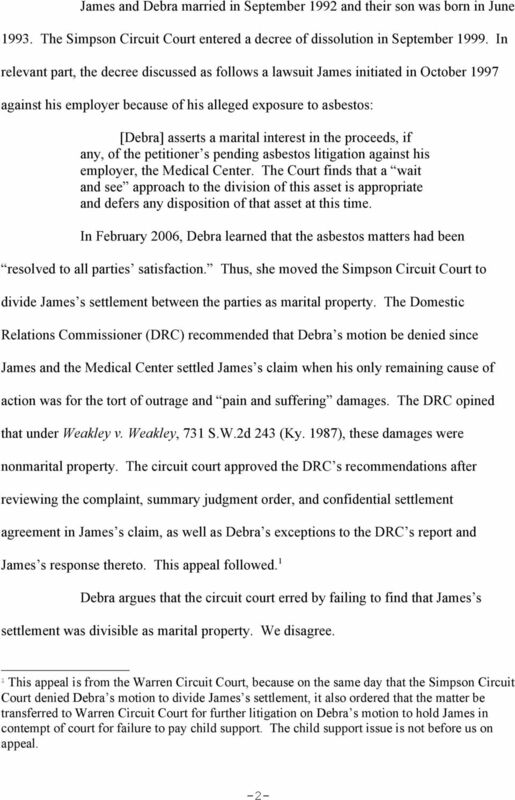 2012-CA-002161-ME JESSICA L. SKAGGS (NOW HARPER) APPELLANT APPEAL FROM ELLIOTT CIRCUIT COURT v.